Whether your business employs just a few loyal workers or you have a talented team of hundreds, having the right benefits package is key. A crucial component of any great employee benefits package is the retirement plan. While offering your workers an attractive retirement plan can be beneficial for everyone involved, choosing and maintaining these plans can be a big responsibility for employers. Fortunately, many of the stressors relating to selecting and maintaining a retirement plan can be reduced by acquiring financial consultant services. Learn how speaking with professional financial consultants can help alleviate the stress of managing employee retirement plans. 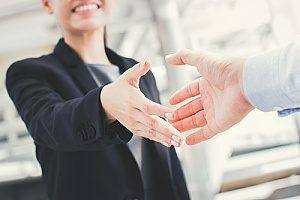 Approximately 70 percent of employers leverage retirement benefits to attract talented job candidates, while an additional 57 percent use the allure of retirement plans to retain current workers. Offering retirement plans can impact positivity in the workplace, encourage employees to work harder, and provide comfort for workers looking at the long-term. However, managing retirement plans can be stressful for employers. Setting up and administering a retirement plan for employees can be complicated, time-consuming, and costly. It also often requires professional financial assistance. A retirement plan provides an effective way for employees to save for their future. However, choosing a provider is not always easy. It is important for employers to carefully weigh their options to find a retirement plan provider who offers attractive features like auto-enrollment and who do not carry additional fees. The provider you choose should also maintain clear and concise communications and have a modern website that allows you to easily manage your account. An experienced financial consultant can help you compare providers and make an educated selection. With so many different types of retirement plans available, employers often have difficulty choosing between them. 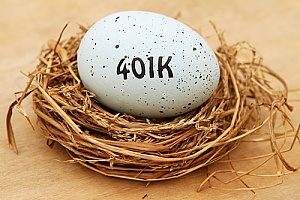 Some of the most common types of retirement plans for employees include 401(K) plans, profit sharing plans, tax deferred annuities, 529 college savings plans, and deferred compensation plans. For businesses that desire a more personalized approach to retirement savings, a custom plan can also be developed. With the help of knowledgeable financial consultants, you can learn more about the different types of employee retirement plans available and their benefits. Profit Sharing Plans: These incentive plans give employees a share in the profits of a company. Tax Deferred Annuities: A tax deferred annuity provides more control over tax liability and is available to employees of certain public education organizations, self-employed ministers, and non-profit organizations. 529 College Savings: A 529 college savings plan is a tax-advantaged plan designed to encourage savings for future higher education expenses. Deferred Compensation: With deferred compensation, a portion of an employee’s compensation is set aside and paid at a later date. Once you have chosen a retirement plan for your business, you must go through the process of enrolling your employees. Open enrollment generally spans several weeks to months and occurs once per year. During open enrollment, employers have the opportunity to make any necessary changes to their benefit plans or drop coverage completely. New employees also have the chance to enroll in benefits for the first time. Many workers prefer to be automatically enrolled in their retirement plan each year. However, this can be time-consuming for employers. If you are not sure of the ideal way to approach plan retirement plan enrollment, a financial consultant can walk you through the process and provide advice about open enrollment management. Choosing to provide your employees with a retirement plan is a major investment decision. If you are struggling with budget restraints or are hesitant to take the steps necessary to enroll in a retirement plan, it can be beneficial to undergo investment consulting with a professional financial consultant. A consultant can meet with you to look over your existing investments and determine the most effective approach to retirement plan management. They can also help you implement strategies designed to save you time, money, and stress relating to the management of your investments. There is no denying the stress that can accompany employee retirement plans. From choosing a provider and plan to managing enrollment and the intake of new employees, managing retirement plans can be a long and complex process that must be continually reexamined. Each type of retirement plan has its own unique set of benefits, as well as a list of drawbacks employers must consider before investing. It is important to realize there is no “one size fits all” solution to employee retirement plans. For more information about retirement plan management or to acquire the services of experienced financial consultants, contact Incisive Financial Group today.